New business credit cards can help companies to build credit and to help to keep the spending under control. In 2015, company credit cards made up just 4 percent of the total number of credit cards that were in use. 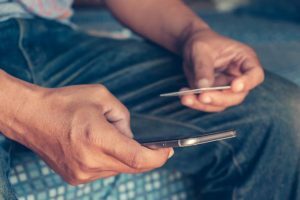 However, they accounted for approximately 16.6 percent of all of the transactions that were completed with credit cards. While new business credit cards can benefit startups, it can be difficult for young companies to get them. According to the Federal Reserve, 61 percent of startup companies that had been in business from zero to five years reported that they were either denied credit or received less than what they had requested in 2017. New businesses might want to consider getting business debit cards as an alternative to new business credit cards. How can a new business credit card change the way you handle accounts payable? 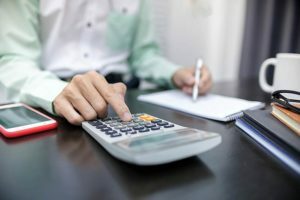 Using new business credit cards can help your company to keep its expenses in check, and one way that new business credit cards can do this is by allowing your company to avoid the high transaction costs that can be involved in requisition and purchase approval processes for daily purchases. You can give your employees their own business credit cards to use for daily purchases. Instead of having to submit requisition forms for even small items and to wait for the forms to be processed and approved, your employees can charge authorized items on a credit card for startups. Your employees can also use the cards to pay invoices when they are received rather than waiting for checks to be issued. Why are new business debit cards so popular? Debit cards for new businesses have increased in popularity. They are not credit cards, so startups might find it easier to qualify for them. Choosing a debit card instead of a new business credit card can also help you to avoid amassing debt. Debit cards do not charge interest on the purchases that your employees make, and the money that they spend is your own. When your employees use debit cards for work purchases, the costs are subtracted from your own funds. Some debit cards for startups feature expense management tools and spending controls so that you can make certain that you stay within your budget. Business credit cards: What are they and how do they work? A new business credit card may be co-branded with a retailer or might be a Visa, Discover, Mastercard, or American Express. 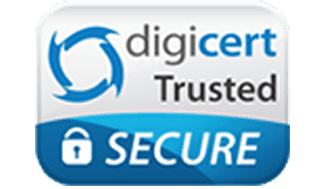 Credit cards for businesses require credit checks of the businesses and the owners for approval and are linked to credit lines. When you use credit cards for business purchases, you are using a loan to pay for the items. If you are unable to pay your balance in full each month, you may also be assessed interest on the balances. How can a business credit card compare to a new business debit card? 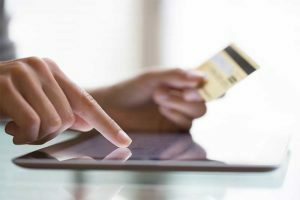 While a credit card for businesses often carries a high rate of interest and annual fees, a debit card for new businesses will not charge interest on the purchases that are made. Business debit cards can be used at the same places that accept credit cards, but the money that is spent is your own. Debit cards will not add to your company’s debt when they are used. They can allow your employees to make the purchases that your company requires when they are needed. Debit cards may also offer other benefits to new businesses. Who can benefit the most from a new business debit card? Small companies may derive the greatest benefits from business debit cards. Some debit cards come with smart payment solutions and can be integrated with popular accounting software such as Quickbooks. When they are used, the purchase data can load into your software automatically, saving you time and money. Debit cards may also be beneficial when they offer expense control tools. 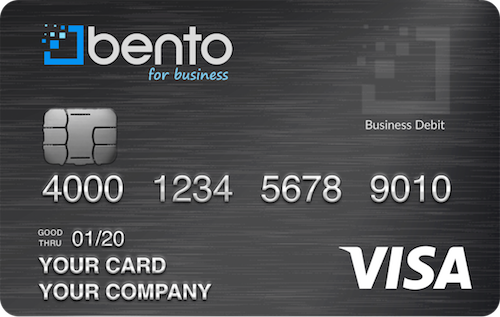 For example, the Bento for Business Visa business debit cards let you place limits on what your employees can purchase, where they can use the cards, and how much they can spend. You can decide how much money to place on each card and reload them when more money is needed. Startup companies may have a difficult time qualifying for credit cards. Card issuers may be reticent to issue credit to companies that do not have substantial operating histories. They might also want personal guarantees from the business owners and require them to submit to credit checks. Debit cards do not require credit checks because they are not credit cards. For example, the Bento for Business Visa debit cards will not require either you or your business to submit to credit checks since they are not credit cards. The application process takes less than 60 seconds, and you can get up to 10 cards for $29 per month with no interest. Reimbursements are especially problematic for businesses. With reimbursements, employees are expected to buy things for the company and wait to be reimbursed. When you use debit cards for purchases, it can be better for both your business and your employees. Using debit cards can allow you to avoid reimbursements completely. Instead of making your employees wait to get their money back, they can simply use the cards that you have given them to buy the things that you need. Reimbursements also carry risks, including padded expense reports and outright fraud. Using debit cards instead of credit cards can help to reduce your fraud risk and reduce the spending at your business. When your employees use your cards, their spending will be more transparent since the transaction costs will be subtracted from your own funds. The Bento Visa cards also let you view the transaction information for your cards in real time from your dashboard. If you see a problem, you can turn a card off instantly by clicking a button. You can also track your business expenses by each employee or across your company. Bento for Business offers a great solution for startups that are needing greater spending flexibility. The company offers extensive expense controls so that you can keep on top of your business expenses. Bento offers a free trial so that you can try the cards for 60 days. To learn more, call 866.220.8455.